I have been constantly reminding myself of this lately. My mind keeps jumping back to old behavior mode and old attitudes are proving to die harder than I originally thought. I find myself wanting to resort to some of my old methods of handling situations. I am not talking about using substances to solve anything, I am referring to street tactics and antics. I have been sharing about my feelings with anyone who will listen. I have been struggling in the area of letting go. I know that it takes practice so I am not beating myself up. I really need to get with someone and find out how to let go and not take it back. How to release the need to still try to control situations and manipulate outcomes. How do I kick these thoughts to the curb and not go back and pick them up later. Staying focused lately has been hard and it has been affecting my overall attitude. My spirit is feeling uneasy and I have been really irritable. It has been showing in more ways than I care to mention. I need a break from my own madness, a vacation from my thoughts. I have been sharing that I need to plug back in. I do not wish to be like the animal who gets cut from the herd on to be eaten alive by the savage beast. I know that doing the same things expecting different results is the meaning of insanity. It’s crazy how the things I am learning, I am relearning over and over again in different situations and scenarios. In the beginning my insanity was using drugs and thinking this time will be different. Now my insanity is taking on a new meaning it has taken a different form but the outcomes are similar in the pain it is causing. I am becoming more and more aware of myself. I am also becoming more aware that certain things that I used to do are no longer acceptable to me.. Because if they were I would have acted off the impulses already. I am fighting a war and the battle ground is between my ears. I am grateful for the process of recovery for it is teaching me how to say NO. It is teaching me to be honest about my feelings and my thoughts. It is teaching me that it’s ok to talk about my feelings and not to worry about what others think or say about me. It is teaching me that I have to be responsible for my recovery and for my actions. How to show up for people and to ask for help when I need it. I am grateful to have found a place where there are so many people just like me. I know that my old ways do not work. My old ways got me a whole lot of pain, misery and suffering. To think that anything has changed or that I can do it different this time would be me believing the lies of my addictive thoughts and will prove once again to be a suicide mission. I do not wish to try to kill myself again. Not today not ever. I will continue to seek the help I need to get through this without taking any shortcuts. 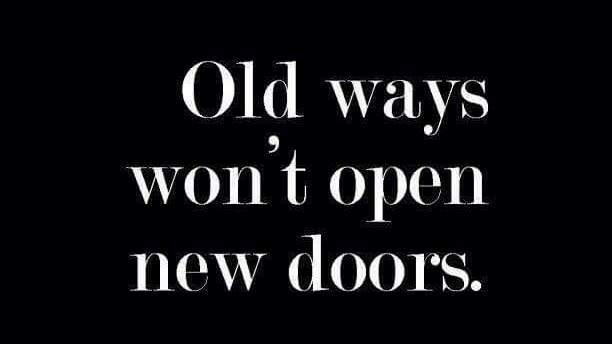 My old ways will not open any new doors. They will only open jail cells or a casket. This entry was posted in 2015 and tagged addiction, baggage, balance, Best kind of people, caring, change, cocky, compassion, compulsion, depression, destination, doing, drama free, dreaming, durability, expectations, experience, experience Love, failure, failures, faith, family, FEAR, fears, fellowship, forward, friends, gratitude, happiness, happy, harm, health, Healthy, help, Higher Power, hope, insecurities, insecurities and secrets, inventory, Just for today, Let go, letting go, loneliness, lonely, lost dreams awaken, love, moving forward, moving on, narcotics anonymous, new beginnings, new day, obsession, overcome, pace, process, progress, reasons, recovery, relapse, relationships, resentments, respect, risks, sabotage myself, sad, safe, seasons, secrets, service, Sharing, spiritual, steps, strength, strength and hope, strengths, struggle, struggling, stuck, suffering, suggestions, suggestions fellowship, Thankful, thinking, Triggers, triumphs, True Self, trust, trust the process, truth, truthful, unrealistic, wellness. Bookmark the permalink. I am the queen of letting go and taking it back. Also of trying to control situation and manipulate outcomes, only to get ticked off when things don’t go MY way. 🙂 Oh the insanity….I’ve been much better about these lately. I’ve been praying more and I believe that is helping. Thanks for sharing this Eric. Sending up prayers for you.